If you are in the market for a 2017 model vehicle, it might be helpful to know how much you can get for it when it's time to sell. Thinking of leasing instead of buying? Vehicles that hold their value will generally have the best lease terms, since your monthly payment is based on the difference in value from the time you drive it off the lot until you turn it back in. 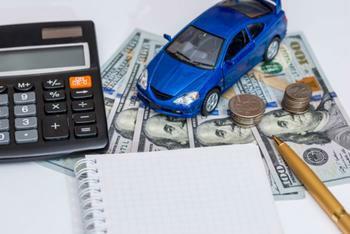 Each year Kelley Blue Book (KBB) analyzes the current crop of new vehicles and estimates which ones will best hold their value. This year, Toyota claimed the honors as Best Resale Value Brand, a title it last held in 2014. Putting it over the top were four 2017 models that hold tightly to their values. Porsche, meanwhile, was a first time winner of Best Resale Value Luxury Brand on the strength of three of its models. General Motors was right up there, along with Honda and Subaru. "Toyota and Porsche notably capture the top brand and luxury brand awards, delivering incredible resale value across their lineup of vehicles," said Eric Ibara, director of residual values for Kelley Blue Book. Ibara says it comes as no surprise that most of the Top 10 Best Resale Value vehicles on the list this year are trucks and SUVs. These segments will only get stronger in the future, he predicts. The resale values are set by automotive analysts who review the output from statistical models built around millions of transactions. The analysts single out vehicles bringing the highest five-year residual values, as a percentage of their original Manufacturer's Suggested Retail Price (MSRP). In pushing Toyota to the top of the 2017 heap, the Tacoma claimed honors in the mid-size truck category, the Sienna was tops among minivans and the 4Runner held its value best among mid-size SUVs. The Honda Fit took the honors among subcompacts, while the Subaru Impreza holds its value best among compacts. The KBB editors advise consumers that the resale value is just as important as the sticker price when choosing a new car. But while the price is on the sticker in plain view, the residual value is not. Another thing to keep in mind -- most options and packages, which will always bump up the price of a new car, do not necessarily increase its resale value. Ibara says exceptions include a high-performance engine or a performance package in a sports car. Regional factors also come into play. In the icy upper Midwest, four-wheel drive vehicles will probably hold their value better than two-wheel drive vehicles. In the deep south, dark-colored cars -- which tend to retain heat -- won't bring the resale value of light-colored ones.